YouTube is an incredible blessing for anyone wanting to get involved in online video. It offers such an incredibly vast array of services for FREE it boggles my mind. BUT….relying on YouTube alone is not the best strategy, especially if your videos are business related. Why? In the worst case scenario, it’s because YouTube can delete your channel without any giving you any details or recourse. Although not extremely common, it happens more than I like to even think about and honestly, gives me quite a pause. I follow all the rules, but it seems like that does not necessarily matter. As a person who studies the online video world closely, I’ve heard the horror stories more than once and most everybody claims to be innocent of wrong-doing. Over the weekend, I heard another one and thought it would be of value to my readers to share. ** UPDATE Jeff’s YouTube channel was restored a few months after writing this post. Most everyone I’ve ever heard complain about being banned gives a virtually identical story. No warning…BOOM! You’re done. Now don’t get me wrong, I understand completely that YouTube needs to have rules and enforce them. YouTube has every right (and even an obligation) to control the content and remain family-friendly. At the same time, their actions can seem arbitrary and inconsistent with their own rules. Banning an account should not be something they do on a whim nor should it be for unstated reasons. Most of the horror stories I’ve heard come from people who claim, like Jeff, that they haven’t done anything against YouTube TOS. Well, the skeptic in me figures at least a few of them are fibbing and another percentage probably did something wrong without realizing it but at the same time, it is an indication that the waters are murky. Plus, the TOS are long, complex and subject to change. Lots of people do not even bother to read them. In Jeff’s case, he had built a huge following on YouTube with over a million views. It was a large part of his business. His videos were not sleazy, misleading or full of crazed and dangerous ideas. So why were they banned? He does not know and neither to I.
YOUTUBE CAN (AND WILL) IGNORE YOU! This is why I tell all of my online video clients to NOT rely exclusively on YouTube for video hosting. For your most important videos, it’s often best to have them somewhere safe where you have total control. 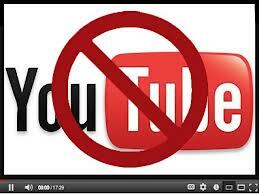 In addition to possibly being banned, hosting your business videos exclusively on YouTube has a few other problems, most of which boil down to control. Paid hosting solutions not only give you total control, but also offer features that the free YouTube doesn’t like, more detailed and sophisticated analytics. Sales videos tend to not do well on YouTube, so are often the best candidates for some sort of paid hosting arrangement. Unless you specify otherwise, “related videos” that are not necessarily related to you at all pop up at the end of the video. A plastic surgeon client of mine was more than a bit distressed at the caliber of videos YouTube deemed “related” to his very educational video on breast augmentation. Related videos also immediately take the viewer away from your message and direct them elsewhere. Compare that to having your own call-to-action remain smiling at the viewer when your video ends, which you can easily do with a hosting and playing system that gives you more control. YouTube analytics are also a bit wanting for the business video user. A paid video hosting service will give you better analytics for the critical insight you need to run an effective marketing campaign. Most people relying on YouTube aren’t that picky but a detailed marketing campaign needs more sophisticated analytics than what YT offers. Lastly is the subject of resolution. In order to save bandwidth, YouTube converts your video and crunches it down to the tiniest size possible. This can leave your video resolution looking like crap. Honestly, that is my biggest complaint. Some of my YT videos look so bad I am a bit embarrassed. They looked fine on my system before YT crushed them down so hard. Even with all these negatives, there are still lots of pros to using YouTube. Beyond being free and easy, it’s best for SEO and traffic by far. Following good, basic SEO with your titles and tags on YouTube is probably the single best thing you can do to get your videos found. Keyword-rich descriptions work well on YouTube to boost rankings as does engagement with the audience as shown by the number of likes, comments and shares. YT is really a giant search engine so you should take advantage of that fact if driving traffic is one of your main goals for using online video. YouTube has a huge built in audience so the chances of your video being seen by a lot of people goes up when you host on YT. YouTube stays on the cutting edge of technology so worries like device compatibility pretty much disappear when you rely on YouTube for video hosting. On the other hand, there are those cons…. What it boils down to is that YouTube is great for some things but not for everything. HOW SHOULD YOU USE YOUTUBE? YouTube is simply too huge to ignore. There are tons of potential viewers on YT. It’s the second largest search engine online so having your videos indexed in YouTube can be a great SEO tactic. Make sure every video you post has a link back to your site as these links carry quite a bit of weight with other search engines. YT is such a popular website; most everybody is comfortable using it. 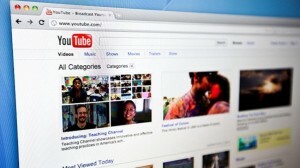 YouTube has all the great features to easily share your videos on Facebook, Twitter and other sites. You can also allow others to embed your video on their site for greater exposure. You Tube has the incredibly handy instant record/upload feature for webcam videos. This can totally eliminate the need to deal with confusing file conversion. And of course, YouTube is FREE! Can’t beat that with a stick. At the same time, the old adage that you get what you pay for applies. Since you aren’t paying YouTube one red cent, they retain 100% control, not you. Jeff Johnson learned that the hard way. This video reminds me to get busy editing the cute kitten video I’ve got!